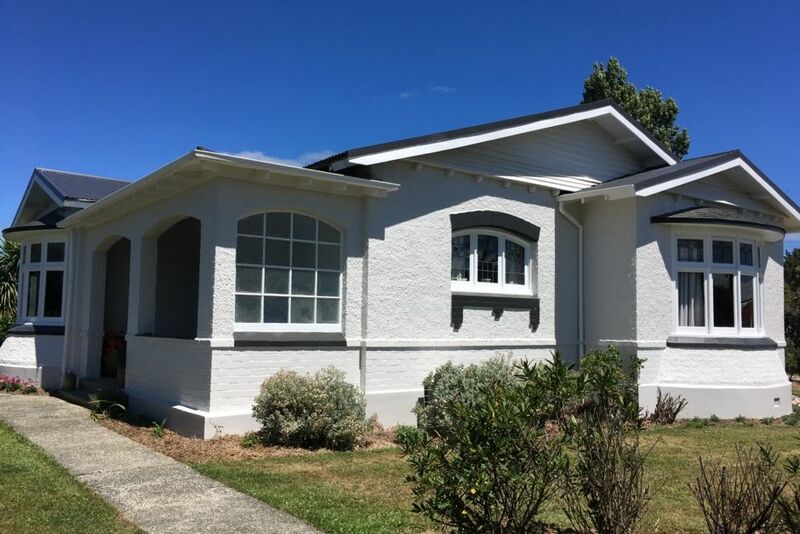 Situated on an acre back section in the heart of Tuatapere, our spacious bungalow has plenty of room for all the toys - dad's or the kid's. Playground over the road, restaurant down the road, great fishing up the road, pool over the bridge. Great dining at the club, the pub or restaurant on the corner. All child friendly or actually just friendly. And if you would like breakfast we can arrange that too. Or contact us regarding Tuatapere's other great treasures such as a Jet boat ride down the Wairaurahiri River, Helicopter flights over Fiordland, The Clifden Caves, Gemstone Beach, Beehive Tours, Farm visits, The Hump Ridge Track and much more. You only need to ask. Hi Prospective guests , Please be careful if the concrete is wet at the kitchen door as it tends to get slippery. Please don't smoke inside our home. Please let us know if you have a four legged friend with you. And of course please ask if you have any queries at all while staying in our neck of the woods. Lovely house and great host. There were only 3 of us so it wasn’t a massive problem only having 1 toilet but it could be with more people. This wonderfully spacious property was tucked away from the street making if feel very private. Kitchen was well appointed and the beds were very comfortable. Would certainly visit there in the future. We enjoyed our stay at the Sawmillers Rest. It was very comfortable and Paula had left us lots of reading material about the history of the area and the wildlife. If you get a chance, it's interesting to chat to Paula about the work of the Trust running the Humpridge Track. The property is beautiful, quiet and secluded off the street, but close to the grocery store and the excellent Last Light Lodge & Café. We loved the updated kitchen and bathrooms, the lovely garden area, the comfortable bedrooms (my husband continues to rave about the comfort of the bed), and the overall charming style throughout. We could decide on this property nor another. We think this is the nicest property in Tuatapere. We think this is the nicest property in Tuatapere. It has a lot of character and is furnished accordingly. The rooms are large with high ceilings. It is on a block of land set back from the road so it is very quiet and private. On warm days it would be lovely to sit outside under the large umbrella.